Don’t trust your sedation dental work to anyone but a pro. 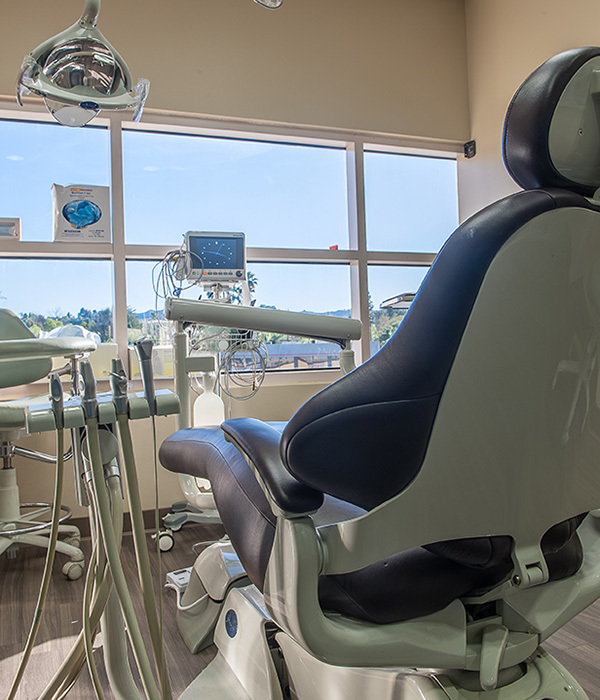 We operate in a state-of-the-art medical facility and provide the safest and most comprehensive care in dentistry. Come out to beautiful sunny, Southern California for your sedation dentistry. Have everything done all at once and leave happy and relaxed. leave rested, relaxed and relieved of dental concerns that undermine your overall health. Call us today at 818-875-0442 and let us give you the ability to have the smile you always wanted without the discomfort and pain you may have experienced in the past. the amazing benefits of sleep dentistry, and then take time to relax and enjoy the attractions of beautiful Southern California. Call Total Sleep Dentistry today at 818-875-0442 and let us help you with your travel arrangements and all your dental procedures. Perhaps you have a gag reflex that does not allow you to get the dental care you need, because you tend to choke when the dentist begins to work in your mouth? Maybe you have trouble with a child who has a disability and you cannot get them to the dentist for the care they need? Do you have a parent with Alzheimer’s that does not like going to the dentist? How about offering them a trip to Universal Studio or Disneyland and then bring them to Kenneth K. Lee Total Sleep Dentistry. Such a visit allows you and/ or your family members to have all their dental work completed in one day, while not remembering the experience, as you and they go away feeling rested and relaxed… ready for a day of fun in the sun! Your family members or children will want to return to our office, because they will enjoy interacting with our friendly and understanding staff; professionals who are well practiced at entertaining and putting them at ease. Know that our staff understands the struggles of those with special needs, no matter what they are, and they will accommodate (in every way possible) any requirements a patient may have so that the end result will be a wonderful dental experience. Come and experience sedation dentistry in Los Angeles. This type of dentistry is great for those who have anxiety, a low pain threshold, can’t sit still in a dentist’s chair, someone with very sensitive teeth, those with a strong gag reflex or anyone needing an extensive amount of dental work. Patients with special needs due to physical, medical, developmental or cognitive issues also need and deserve special consideration. We, at Kenneth K. Lee Total Sleep Dentistry, are here to accommodate ALL who are in need of high quality, sleep dental services. We operate a licensed surgical center and all our anesthesia providers have completed full anesthesiology residency programs, not just weekend courses. Our special qualifications will make a difference for everyone; especially those who are afraid of dentists or those with special needs. We do understand your concerns, anxiety, needs and desires, and we will implement solutions when it comes to providing comprehensive sedation dentistry. Call us 24/7 at 818-875-0442 for a comprehensive dental sedation consultation, so that we can put together a treatment plan that meets all you dental needs. At Kenneth K. Lee Total Sleep Dentistry, we understand the fears and phobias many patients may have and will work with them in a tender and careful manner. When a patient leaves our doors, it is our goal to have them feel comfortable and ready to come back for other dental treatments.